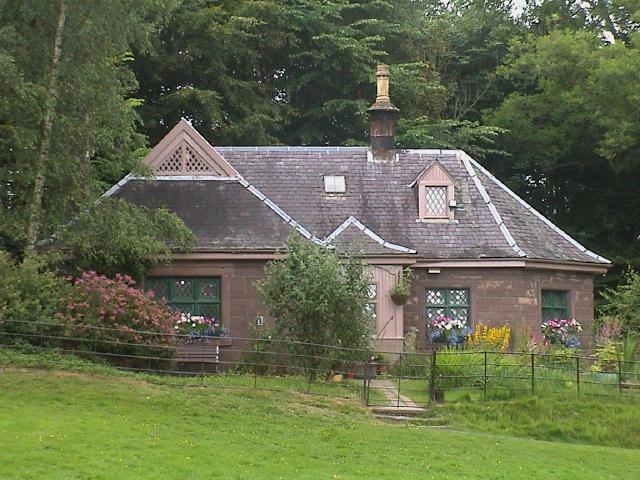 As we leave the parking lot we pass this very pretty ground-keepers house. Quite wonderful. 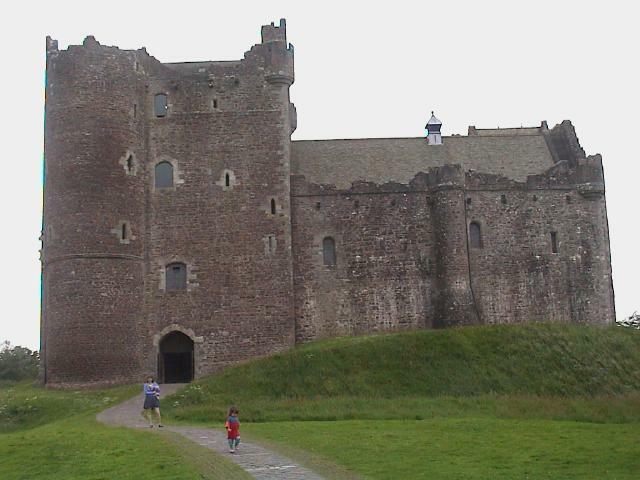 Doune Castle was built in the 14th century for the Regent Albany, Robert Stewart. Contemporaneously, it was used in the filming of Monty Python and the Holy Grail and the BBC production of Ivanhoe. Once again, here's Lila leading the way. I thought this beautiful stone architecture would make a really great computer desktop. 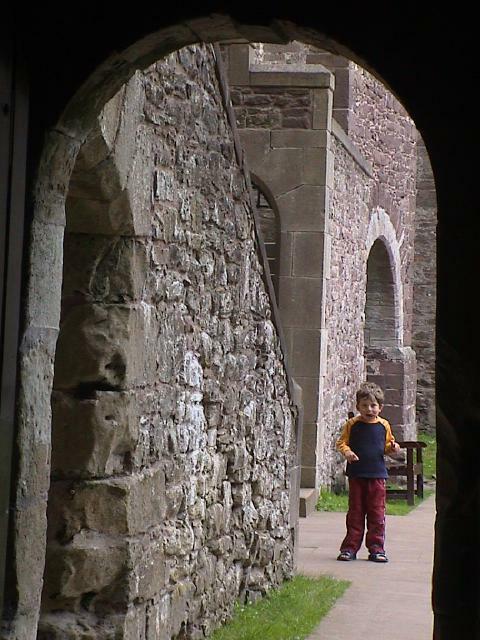 Isaac was in a mood, but he loved running around the grounds, through the huge halls, up and down the stairs. It was all I could do to keep up with him. Here's the panoramic view - from the castle parapets - of the town of Doune. And here's the view downwards; you're seeing about ninety degrees (straight down at the bottom, towards the horizon at the top). It was a bit scary hanging so far over to take the photos without having the ledge ruin the picture. 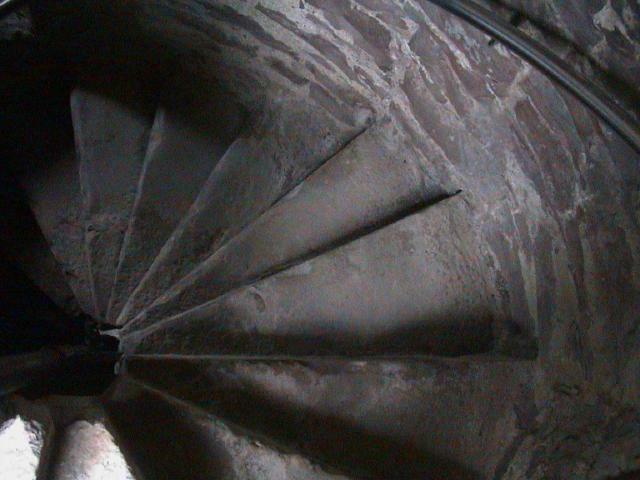 Lastly, the stone steps, worn by hundreds of years of peasants' shoes and knights' boots. 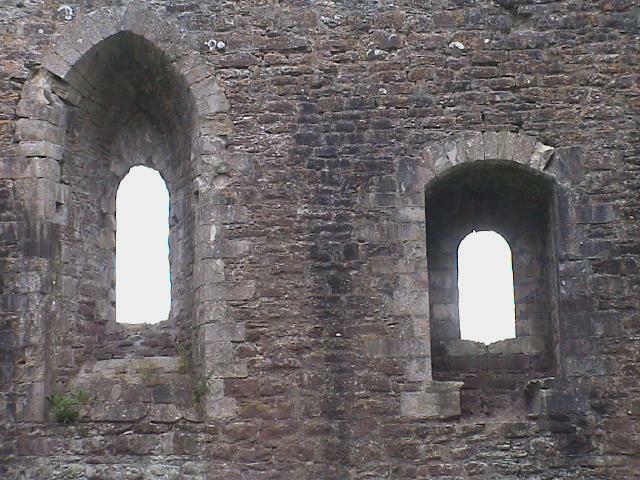 We're not yet finished with castles. Now let's visit Stirling Castle.